Press Ctrl+Alt+Delete on your PC. 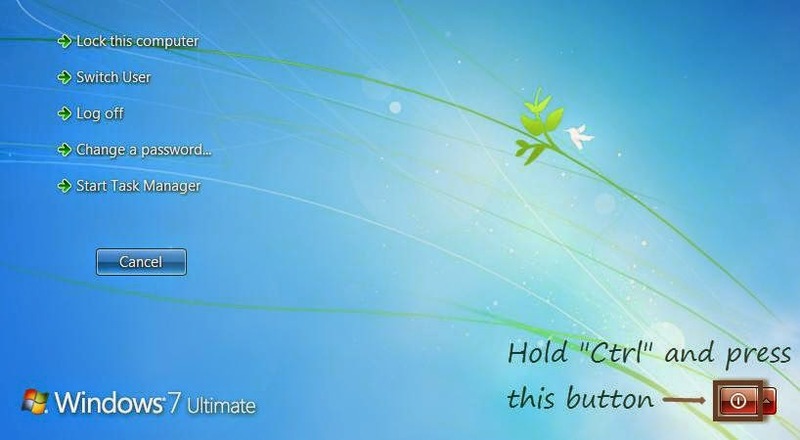 On the next screen as shown in the image hold Ctrl key and press shown button on the screen. After pressing OK button your PC will restart immediately. Comments are always welcomed, give your precious feedback without fail.